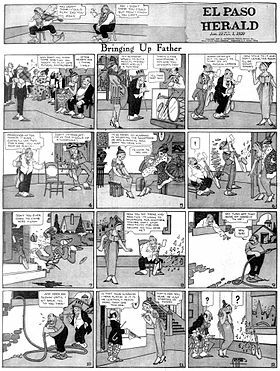 Bringing Up Father cartoon (January 31, 1920). This cartoon started in 1913 and ended in 2000. Click image to enlarge. The term cartoon originated in the Middle Ages and first described a preparatory drawing for a piece of art, such as a painting, fresco, tapestry, or stained glass window. In the 19th century, it came to refer to humorous illustrations in magazines and newspapers, and in the early 20th century and onward until today it refers to comic strips and animated films. In modern print media, a cartoon is a piece of art, usually humorous in intent. This usage dates from 1843 when Punch magazine applied the term to satirical drawings in its pages. Modern single-panel gag cartoons, found in magazines, generally consist of a single drawing with a typeset caption positioned beneath or (much less often) a speech balloon. 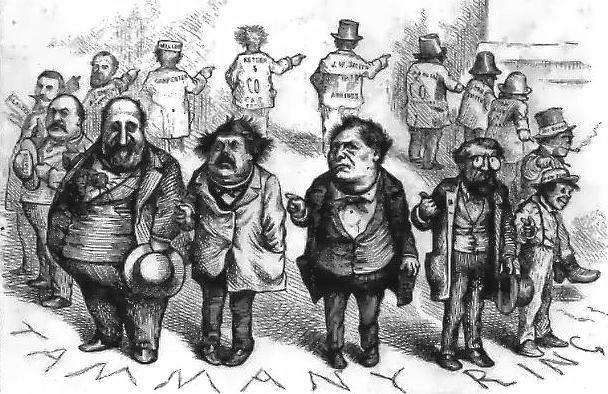 Tweed Ring: “Who stole the people’s money?” / “‘Twas him.” 1870s cartoon by Thomas Nast. Click image to enlarge. 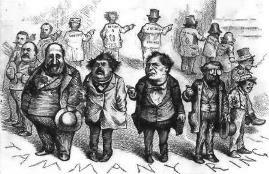 Editorial cartoons are found almost exclusively in news publications and news websites. Although they also employ humor, they are more serious in tone, commonly using irony or satire. 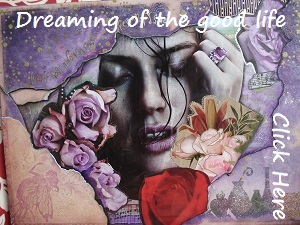 The art usually acts as a visual metaphor to illustrate a point of view on current social and/or political topics. Editorial cartoons often include speech balloons and, sometimes, multiple panels. 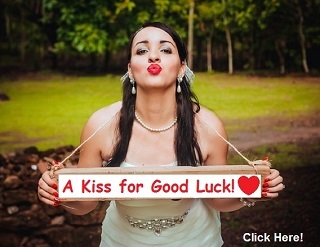 Comic strips, also known as “cartoon strips” in the United Kingdom, are found daily in newspapers worldwide, and are usually a short series of cartoon illustrations in sequence. In the United States they are not as commonly called “cartoons” themselves, but rather “comics” or “funnies”. Nonetheless, the creators of comic strips—as well as comic books and graphic novels—are usually referred to as “cartoonists”. Although humor is the most prevalent subject matter, adventure and drama are also represented in this medium. There are stylistic similarities between comic strips and early animated movies. Because of this “cartoon” came to refer to animation, and the word “cartoon” is currently used to refer to both animated cartoons and gag cartoons. Animation designates any style of illustrated images seen in rapid succession to give the impression of movement. The word “cartoon” is most often used in reference to TV programs and short films for children featuring animals, superheroes, child adventures and related genres.